Robert Weissman is a staunch public interest advocate and activist, as well as an expert on a wide variety of issues ranging from corporate accountability and government transparency, to trade and globalization, to economic and regulatory policy. Leading Public Citizen since 2009, Weissman has spearheaded the effort to loosen the chokehold corporations and the wealthy have over our democracy. 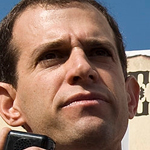 Immediately after the Supreme Court’s ruling in Citizens United, Weissman established the Democracy Is For People campaign, a project of Public Citizen, specifically to fight for a constitutional amendment to overturn the ruling and curb money in politics. After the 2008 financial collapse, Weissman pushed for strong legislation and regulatory action, specifically through the Dodd-Frank Wall Street Reform and Consumer Protection Act, to stabilize the financial system, hold corporations and big banks accountable and help Main Street. Over the years, Weissman has pushed Congress to pass meaningful legislation to hold the oil industry accountable, reform the regulatory process, and protect workers and the environment. With a wide variety of expertise, Weissman has used his knowledge and skill to challenge abusive corporate practices in many different arenas with the common goal of protecting consumers and fighting for a government that works for the people.